Multiple sources are reporting that when the first wave of 2011 Fiat 500s arrive in February, they will only be available with the manual transmission option as the automatic transmission models will not reach the US until March or April. 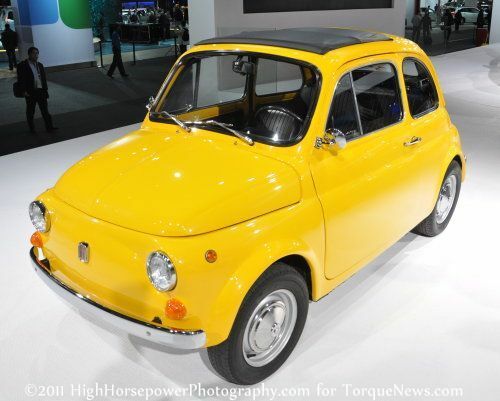 In addition to this transmission news, when the 2011 Fiat 500s begin arriving next month only around 20 of the 130 dealerships slated to offer Fiat will be up and running. Company CEO Laura Soave told AutoWeek that the company plans to “ramp up” in March and April, when the 2011 Fiat 500 models featuring the Aisin automatic transmission join the manual transmission models in the US market. Fiat expects that the majority of 2011 Fiat’s sold will be optioned with the automatic transmission which is sad, as the manual transmission adds gobs of “fun to drive” factor. The first official Fiat dealership – Motor Village of LA is set to open later this month and having had the pleasure to attend the grand opening of the Motor Village, this dealership will certainly serve as a shining example of the new marketing techniques used by the new Chrysler Group. Unlike the LA-based corporate dealership, other Fiat dealerships around the country will be expected to offer a stand-alone dealership just for the Fiat brand; one of the biggest hang-ups for many dealership groups looking to carry the Italian subcompact. The 2011 Fiat 500 comes with a starting price of just $15,500 for the Pop (base) trimline, $17,500 for the Sport option and the premium Fiat 500 Lounge starts at $19,500 – making the new Fiat 500 one of the most affordable cars available in the US market.